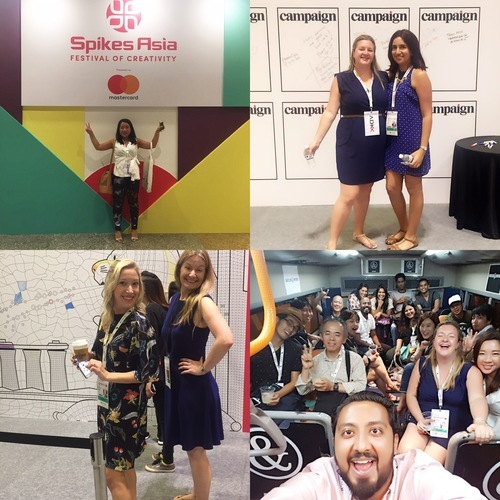 Savvy had the pleasure of being invited along to participate and soak up the creativity at Spikes Asia 2016, which took place in Singapore from 21-23rd September. 2016 was the 8th annual event and it promised to deliver Seminars, Master Classes and Tech Talks from “the region’s most forward-thinking and influential figures”. 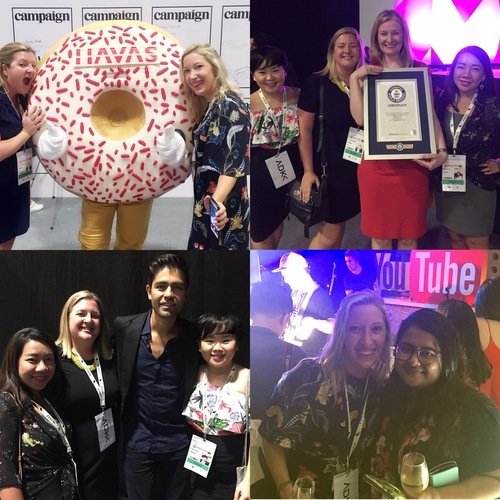 There were over 55 sessions to choose from, an inspiring Awards Ceremony and several after parties that kept us very busy all week. To close the Festival, the Spikes Asia Awards were presented to winners who had been selected by a panel of 98 industry experts. This year over 5000 entries were submitted from the APAC region. · As volunteers, our team acted as independent witnesses to help Spikes Asia attempt to become Guinness World Record holders for ‘The most contributions to a colour by numbers’. We had lots of fun drawing in the crowds and meeting the delegates as they entered the event. · Fergus O’Hare from Facebook took to the Inspiration Stage to talk about ‘Designing for Mobile’. He spoke about the frustrations, complexities and opportunities for being creative on a four inch screen and also described how mobile has fundamentally changed the way we communicate with one another. · The Networking After Dark Party, hosted by JWT at Tanjong Beach Club was a great way to end Day 1. We had a crazy experience getting to the beach party via the Bates CHI Party Bus, but we made it in the end with our new friends from Pheonix Ogilvy. Afterwards we headed to Gem Bar on Club Street to hang out at the favourite unofficial Spikes Bar. On Thursday night we attended the exclusive Neo Godai Party by Dentsu Aegis. They brought together music & technology and produced an amazing roof top party! · Rene Chen & Katie Ewer from JKR talked about cultural challenges and awareness when designing across different parts of the world. ‘East meets West’ was a really interesting and eye opening look at how Asia is leading the way in creativity. · Google’s Tatsua Nomura drew in the crowds on Friday to share with us all how the phenomenon of Pokemon Go came about from a prank at Google! · ‘Icons in Action’ was an intimate interview between Actor, Producer & Environmentalist Adrian Grenier and Gordon Brown, Founder & CCO of McGarryBowen. This was a really inspirational & thoughtful seminar about the impact on our environment and the use of film to highlight global issues. · The final speaker was Graham Fink, CCO of Ogilvy & Mather, he stole the show at the end of the event with an energized and engaging look at the Advertising industry. He gave some excellent tips for finding creativity and thinking outside of the box! · The Awards Ceremony at Marina Bay Sands Theatre was a thrilling evening full of talent and recognition. The standout award for us was The Touchable Ink Product Design for Samsung by JWT Thailand. · And in case you were wondering… Spikes Asia became Guinness World Record holders!